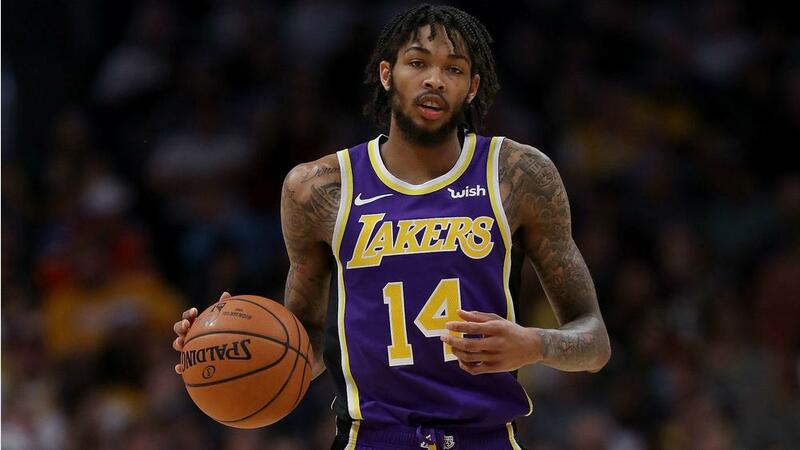 Los Angeles Lakers forward Brandon Ingram appeared to shrug off the chants he heard on Tuesday. The 21-year-old has reportedly been included in the Lakers' offers for New Orleans Pelicans star Anthony Davis and fans serenaded him with "LeBron's gonna trade you" chants while he was shooting a free throw in the first quarter against the Pacers in Indiana. Ingram said he was not bothered by the hecklers as the Lakers crashed to a 136-94 loss. "I heard it," Ingram said, via The Athletic. "I still made the free throw." Ingram tallied 12 points on four-of-eight shooting in the game. He added he did not really care about the upcoming February 7 trade deadline. "[The media] puts more speculation on the trade deadline than anyone else," Ingram said, via Silver Screen & Roll. "I'm just here to play basketball." Lakers star LeBron James also addressed the chants postgame. "That's just fans being fans," James told reporters. "If you let that bother you, you're in the wrong sport." The Lakers fell to the Pacers in the largest loss of James’ career. He said he was not sure if the rumours were affecting the team. "Obviously we have a lot of guys that have been in trade talks these last couple weeks that have never been in that position before," James said. "I know it has to be tough, especially on our young guys." In the loss, James became just the fifth player in NBA history to record 32,000 career points. He scored a team-high 18 and chipped in nine assists. The loss dropped the Lakers to 27-27 this season. The Pacers improved to 35-19.